Thread: What is your favorite pattern or block to use for monochromatic quilts? I have been purchasing pink fabrics here and there hoping to make a pink and white/cream quilt. 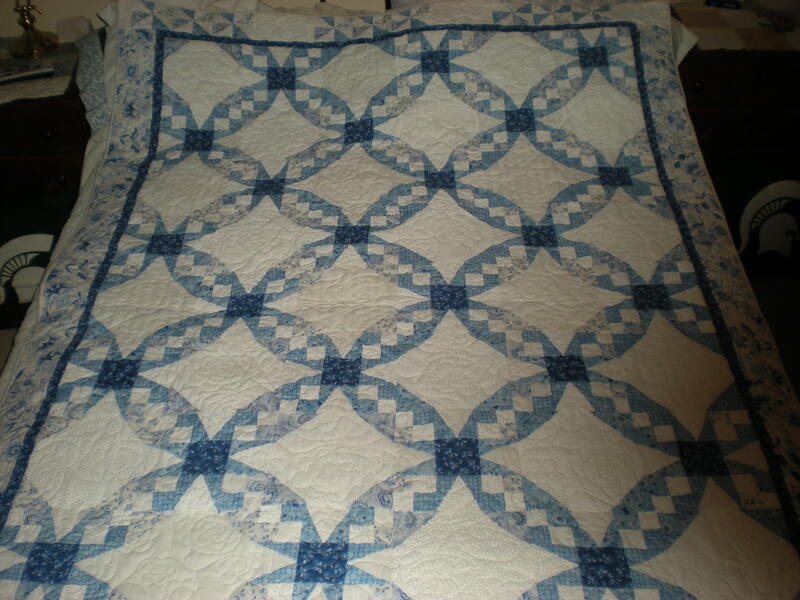 I would love to see good ideas for a quilt pattern or block style that looks good with a monochromatic color scheme. Can you give me your ideas and if you can include an image that would be great!! One color scheme? Yellow Brick Road. It's quick and easy. This one is various purples. Last edited by CindyBee; 02-21-2012 at 02:18 PM. 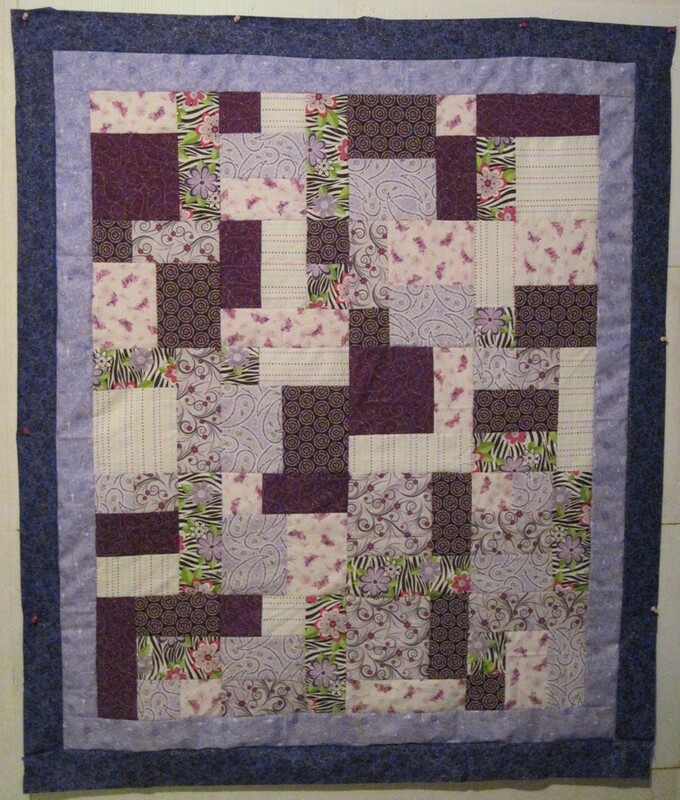 The most recent one in pictures, called Feathered Diamonds, quilted by Charisma was really nice, and looked easy. try "winding ways" - a light color and a dark color - it is a great quilt - 11" finished winding way template from Marti Michell. I like the carpenters star. Pictures in the quilts made on vintage machines thread. Quilting with a friend keeps me in stitches.